This is neglected repertoire by an important figure of the early Romantic movement who was a significant influence on Chopin. 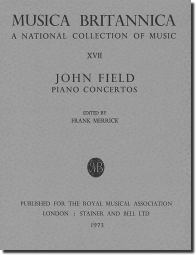 The contents include Piano Concertos in E flat, A flat and E flat, scored for strings, timps and double woodwind, horns and trumpets. First published in 1961.